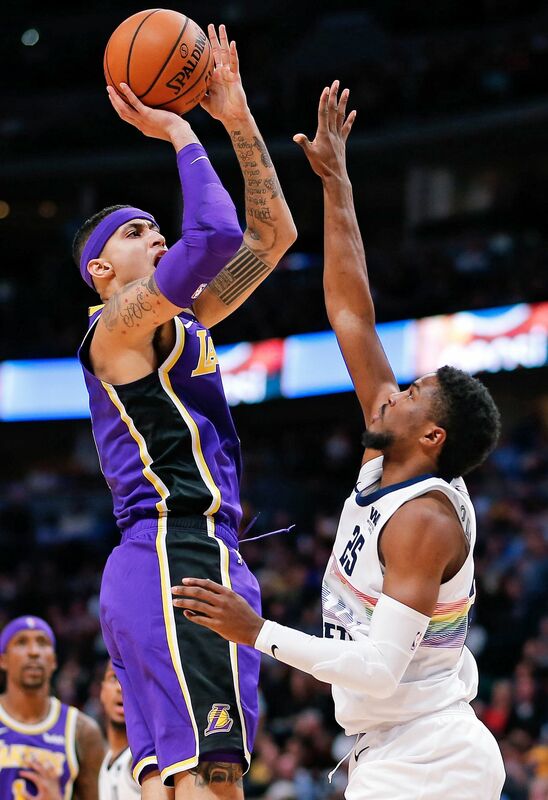 DENVER (Colorado) • The home of the Denver Nuggets, the Pepsi Centre, was awash in the famed purple and gold of the Los Angeles Lakers on Tuesday. It is a familiar sight at the 18,000-capacity arena. Such is the regard the home city has for the franchise that the Nuggets have the lowest attendance in the National Basketball Association for two of the past three seasons. Still, the visiting Lakers were routed 117-85 and fell to 11-9 for the worst start of any LeBron James team after 20 games. James himself had an uncharacteristically poor performance, missing all four of his three-point attempts to finish on 14 points. "I think the part which got away from us was the offence, too," said the 33-year-old star, who appeared to deflect part of the blame on the defence. "As poor as we shot the ball in the first half, we still held them to 58 points. "In the second half, we still don't make shots. We were five for 35 (from the three-point line) and you aren't winning no game from that. It's that simple." The Lakers have now lost two on the trot and they were abysmal on the night, shooting just 39.1 per cent overall. Kyle Kuzma, who led the team with 21 points, was one-for-seven from long range. It did not help that they lost Lonzo Ball to a sprained ankle in the second quarter and, with Rajon Rondo still on the sidelines, they struggled in attack. Lakers coach Luke Walton admitted "they had to be better", saying: "I thought we got tired. Every team has to deal with it that plays here, so it can't be an excuse for us." His opposite number Michael Malone claimed he did not care about the non-partisan crowd as long as the opponents "take that 'L' on the way out". "We don't want any converts," he said. "You're either with us or against us. "LeBron is arguably the best player ever and, when he comes to town with the Lakers, their fans care. But, as long as they go home disappointed, that's all I care about. "So the (Golden State) Warriors fans can come in here, the (Boston) Celtics fans come in here, the Lakers fans can come in here." Paul Millsap, Jamal Murray and Malik Beasley all had 20 points to lead Denver (14-7), who have won four straight games after dropping six of their previous seven.